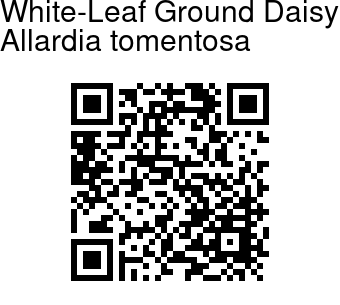 White-Leaf Ground Daisy is a loosely clustered perennial herb with solitary flower-heads 3-6 cm across, with many pink or white broadly linear ray-florets about 2.5 cm long. Involucral bracts are broadly lanceshaped, densely woolly-haired. Leaves are once to twice cut into narrow segments, usually covered with dense soft white-woolly hairs. Stems are ascending, 10-20 cm. 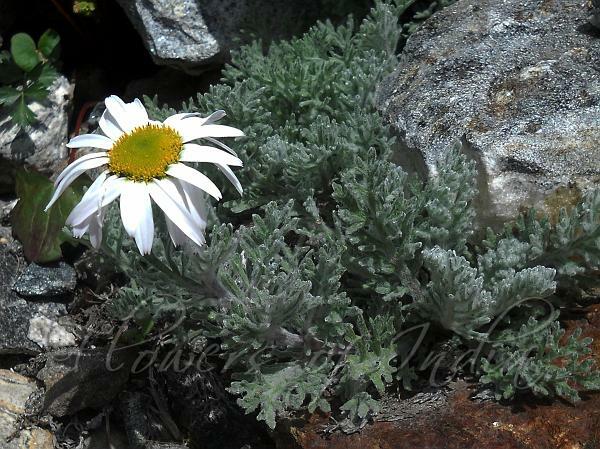 White-Leaf Ground Daisy is found in the Himalayas, from Pakistan to W. Nepal, at altitudes of 3600-5000 m. Flowering: July-September.